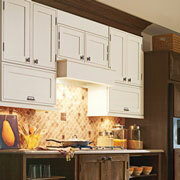 The kitchen remodel: It’s what many homeowners dream of as soon as they buy the house. ProSource® of Jacksonville can make these dreams a reality. One visit to our showroom helps trade professionals and their homeowner clients realize the potential for their space. The displays are arranged to showcase the different products we offer, and our teammates are there to provide inspiration and execution of the project from start to finish. ProSource of Jacksonville is one of nearly 150 showrooms in a network that spans across North America. We leverage the large buying power of ProSource Wholesale® to secure low prices and unbeatable deals on all kitchen remodel products. More importantly, trade pros can depend on our team to be a resource and partner in all remodeling projects, especially where design and products are concerned. This is a small sampling of the high-quality, wholesale products we can offer our trade pros and their clients for kitchen remodel projects. Kitchen cabinets are both stylish and effective elements in the kitchen. Our team can help trade pros best utilize the given space to maximize storage in a convenient way, as well as find the beautiful finishes and door designs that homeowners will adore. 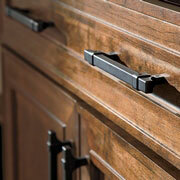 Finish off the cabinets with the right hardware. A cabinet really isn’t complete without the right knob or handle to use every day. Our team can help you navigate the vast selection of hardware pieces to provide your client with easy opportunities to decide. Another foundational element to the kitchen remodel project is the countertop. These countertops can be beautiful pieces of natural stone or more affordable manufactured materials. 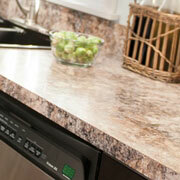 No matter the style or preference, ProSource will measure and cut the countertops to fit precisely as you need them. The kitchen sink is a fun element to pick out. It does provide use and function, but it’s also yet another piece to show off style and design. From the traditional two-basin sink to a beautiful chef’s sink, there are options for everyone. 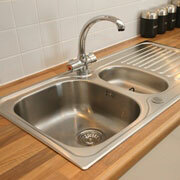 We have sinks made from all materials for your convenience. 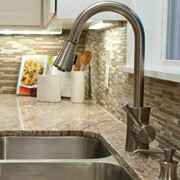 What would a kitchen sink be without its faucet? There can be multiple faucets in a kitchen, such as the faucet over the sink or the faucet that is used to fill pots or the faucet with hot water on tap. If you can think it, there’s probably a faucet for that. Just ask!